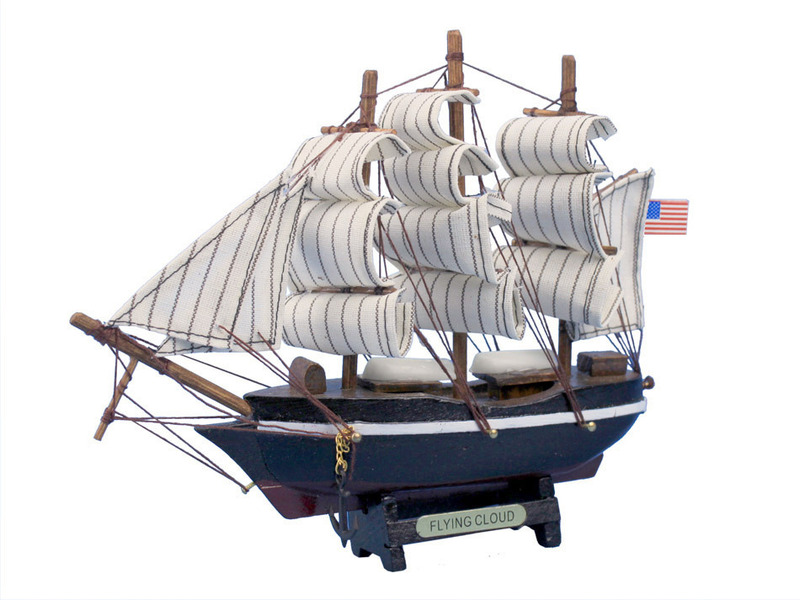 Recreated in intricate detail, the legendary Flying Cloud is brought to life in this delightful model ship toy. Setting the record for the fastest sailing time between New York and San Francisco in 1853, a title she held for more than a hundred years, the Flying Cloud graces any room with historic grace and elegant nautical style. 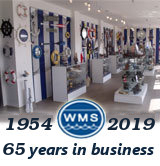 Handcrafted from 100% solid wood, with a metal name plate, this ship is a perfect gift for any child or nautical enthusiast. Built by Donald McKay in East Boston, Massachusetts in 1851, the Flying Cloud could be considered the fastest clipper ship of its time. Six weeks after her initial launch the Flying Cloud made headlines around the world with her record setting sail from New York to San Francisco commanded by Captain Josiah Perkins Creesy. Two years later the Flying Cloud broke her own record for the journey. In addition to her breathtaking speed on these voyages, the Flying Cloud was significant in that her navigator was Eleanor Creesy, wife of Captain Creesy. In the 1800s, ships generally took between six and eight months to travel the 16,000 miles between New York and San Francisco. While there were a few other ships that were capable of such blazing speeds, only two stand out as to be considered in the same league as the Flying Cloud. 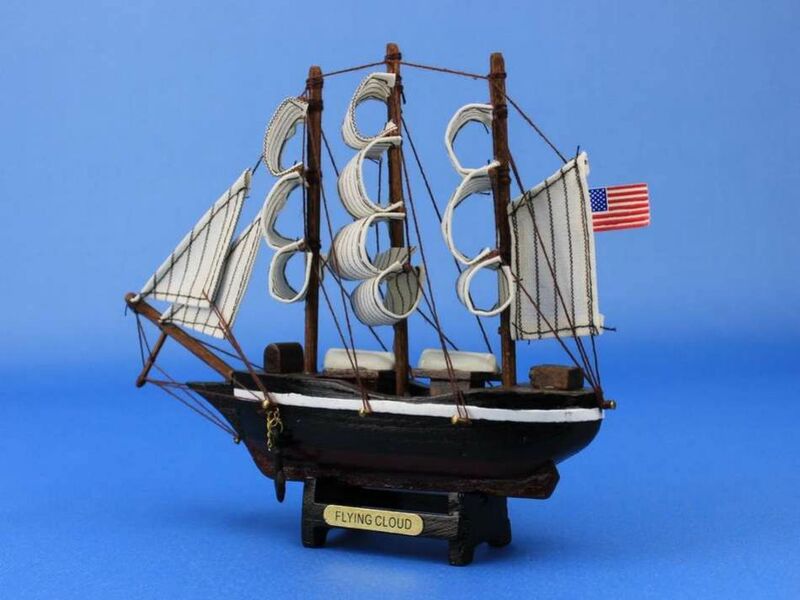 The clipper Andrew Jackson made the New York to San Francisco journey in 89 days and 4 hours, and the Hornet, which lost a race to the Flying Cloud in despite departing New York a full two days ahead of the competition. 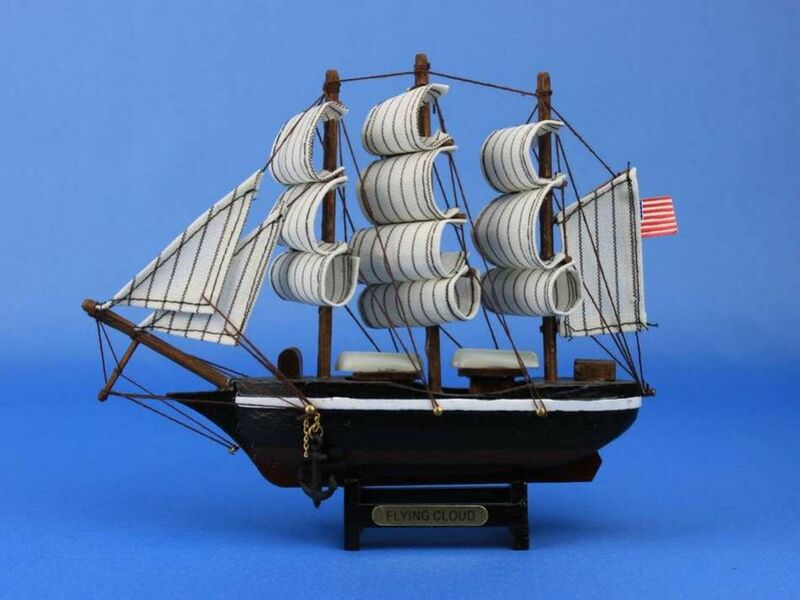 Following her legendary voyages and blaring newspaper headlines, the Flying Cloud was sold to the British Black Ball Line in 1862, and put to use in the log trade between England and Canada. On June 19, 1874 the Flying Cloud was grounded on shore on Beacon Island bar, St. John's, Newfoundland, later sold, stripped for whatever valuable metal could be found, and burned.